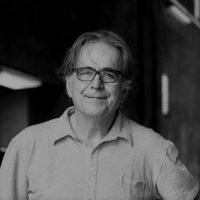 Joan Subirats is the founder, director, and now researcher of the Institute for Government and Public Policy at the Autonomous University of Barcelona. He has been a visiting professor at various American and European universities and specialises in questions of public policy and democratic innovation. His most recent books are El Poder de la Proximidad (Catarata Libros 2016) and Social Innovation and Democratic Leadership (E. Elgar 2017). He also writes regularly in El País, El Periódico, ElDiario.es, amongst others. Tak w Europie, jak i poza nią polityka miejska, oparta na republikanizmie i zawarta w "ładzie barcelońskim" może pomóc w walce z bezwładem państwa narodowego. Barcelona leads the way in reviving democracy and participation of citizens. Joan Subirats talks about how cities can shape a better governance architecture and complement the current system centred on nation-states.